This is the third part of our Habit Series and today we want to help you out explaining some of your weird habits and quirks to non-swimming friends and family. If you want to see previous habits posts you can find them here and here. Bus bench, loud party, edge of the swimming pool or bouncy castle during a kid’s birthday grills – we don’t care! We just want one more minute of sleep. It’s not some strange mutation or mysterious tropical virus and we definitely are not lazy! Just the contrary – we sleep so much because of the immense amounts of energy a swimming training requires! That’s our version and we stick with it! Again – this is about all the calories we burn while in the pool for long hours and this time we have hard facts to back this up – just look at swimmers’ bodies and then look at their typical breakfast and second breakfast and many more meals we devour every day! How can you recognize a swimmer at the party? You look for a guy guarding the food table! Using a hair dryer is perceived by most swimmers as a complete waste of time and almost none of us dry their hair. First of all – it’s going to be all wet again in few hours during our evening training and second of all – we can use this time to do all the weird things I wrote about in this post (but mainly sleep or eat). As you probably have realized by now – it’s very hard for a non-swimmer to understand all the quirky little rituals and actions that makes us swimmers (and weirdos – we know!). On top of that, our teammates are those we spend most time with. They also witnessed all the worst and most beautiful moments of our lives as athletes and as kids. Teenagers and so on. This bond is very strong and might be the reason why we do everything together in big goofy packs of laughing mad men and women! You can say that’s not that weird, and a lot of people like wearing warm and comfortable sweat pants. But then you see our apartments and closets and you realize you knew nothing about sweat pants up to this moment. We love how easy it is to put them on over our wet legs and we love how most of them have names of swimming meetings on them and we love how we got many of those for free J I have to admit that having a wedding sweat pants might be too much for most. But we are sweat pants loving swimmers and we are very proud of it. Swimmo was created just for swimmers! We are a very specific group of people with very particular habits and needs. That’s why we’ve decided to create Swimmo thinking about those needs and we consulted real swimmers every step of the way. 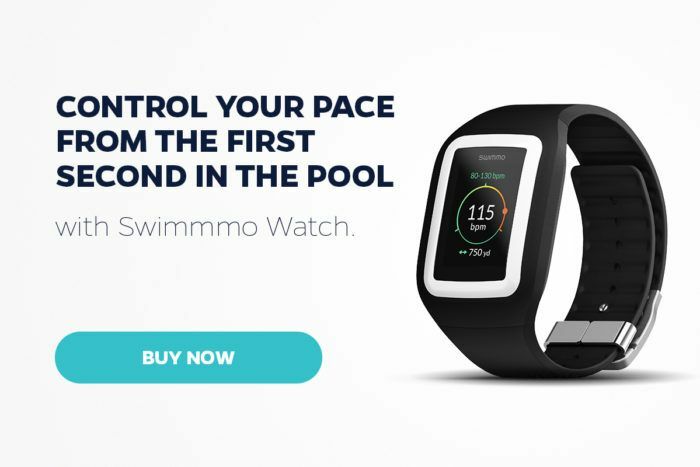 With laps, distance, pace, heart rate monitor, custom goals and much much more Swimmo is simply the ultimate tool for every swimmer however weird and quirky he is!